Did you ever sell lemonade as a kid? My best friend growing up lived on a golf course, so we would have her mom mix us up a batch of Country Time lemonade and sell it to the golfers on hot days. The irony of making her mom go to the store to buy lemonade so we could sell it and keep the profits is not lost on me. Eventually we got smart and decided to sell the golfers all of the golf balls they hit into her yard that we had collected in a bowl. They loved that! We also performed gymnastics tricks when there was no lemonade mix around. We called it “flips for tips,” and the golfers got a huge kick out of it. I guess I was always destined to be an entrepreneur. 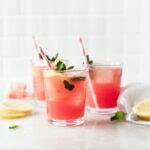 This sparkling watermelon mint lemonade is a far cry from the kind we made from a powdered mix as kids. 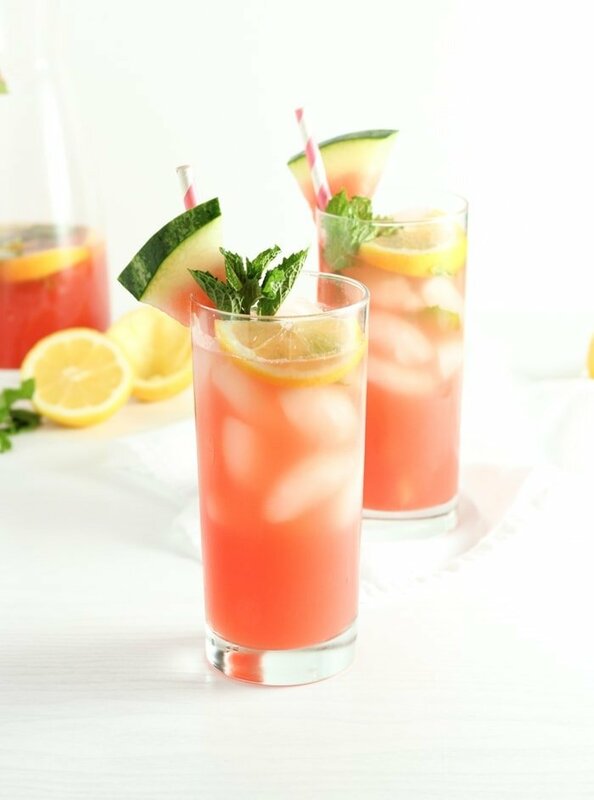 It is made with real watermelon and lemons with just a hint of fresh mint for a cool twist. Fun bubbles from sparkling water makes this sparkling watermelon mint lemonade extra special and perfect for sipping on all summer! I don’t think this refreshing lemonade needs any sweetener, but you can stir in a touch of agave nectar if you prefer it a little sweeter. You still won’t get the sickening sticky sweetness you’d have with good ol’ powdered lemonade. Thankfully. This delicious sparkling watermelon mint lemonade is the perfect party drink to serve at your backyard BBQs and parties this summer. It is perfect for kiddos as it is, or you can make an adult version by adding a bit of vodka or gin if you wish. 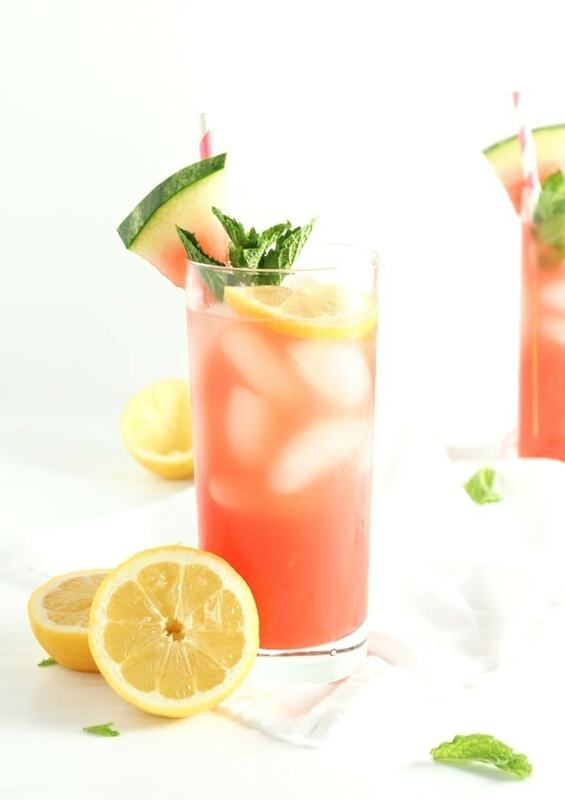 Either way, with this refreshing sparkling watermelon mint lemonade, you’re sure to stay hydrated and happy all summer long! Cheers! 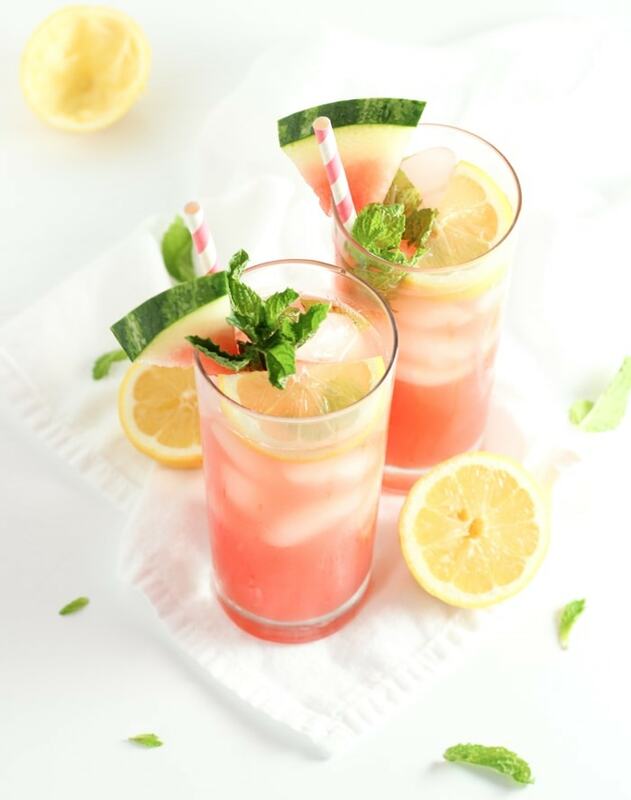 This all natural sparkling watermelon mint lemonade has no added sugar for a healthy and refreshing summer drink that is perfect for backyard BBQs and summer parties! To make watermelon puree, blend 4 cups of watermelon in a blender or food processor. Strain through a fine mesh strainer to yield 2 cups of juice. Discard pulp. In a pitcher, combine watermelon juice, lemon juice, agave (if using), and sparkling water. Roughly chop or tear mint leaves and stir into pitcher with lemon slices. Pour into glasses filled with ice, and garnish with extra mint and lemons, if desired.